Free delivery for all orders over €99 in Republic of Ireland (3-4 working days). Delivery €6.50 for all orders under €99 to Republic of Ireland (including Northern Ireland). 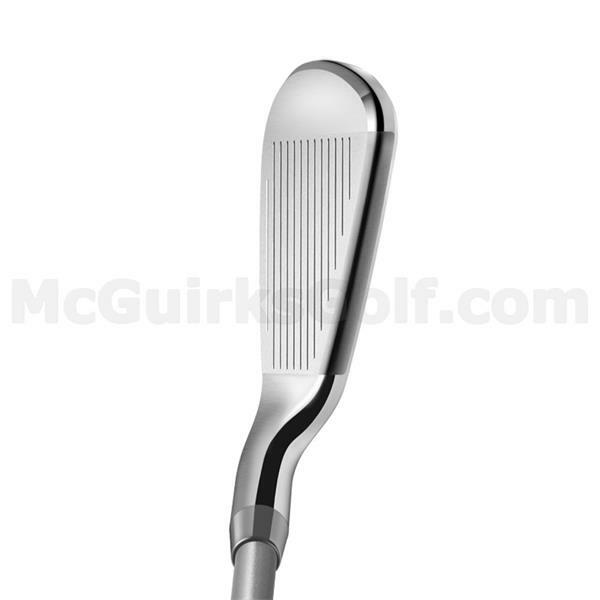 If for any reason you are not satisfied with your purchase, please contact us by calling 01- 6991048, where we will be happy to help or send us a email to sales@mcguirksgolf.com, and we will provide you with further instructions on where returns should be shipped. If you decide that you simply no longer want the item(s) purchased, you can return them to us for an exchange or refund. Items to be returned or exchanged must be unused and in their original box. We are dedicated to providing our customers superior customer service and an easy-to-use and secure on-line shopping experience. Price Promise – We will not be beaten on price. Product selection – We offer the Largest range of Golf Products available online for Ladies, Gents & Kids. We’re Irish – We’re a 100% Irish company, supporting Irish jobs. Regular Communication – You will be notified by email with the progress of your purchase from order confirmation to dispatch. Knowledgeable and Passionate Staff – All of our Staff have a vast knowledge of Golf and with PGA Professionals in all stores no question will be left unanswered.. The KING F7 Irons irons utilize COBRA’s TECFLO construction to deliver a set that utilizes advanced construction technologies to optimize the performance characteristics of each iron. 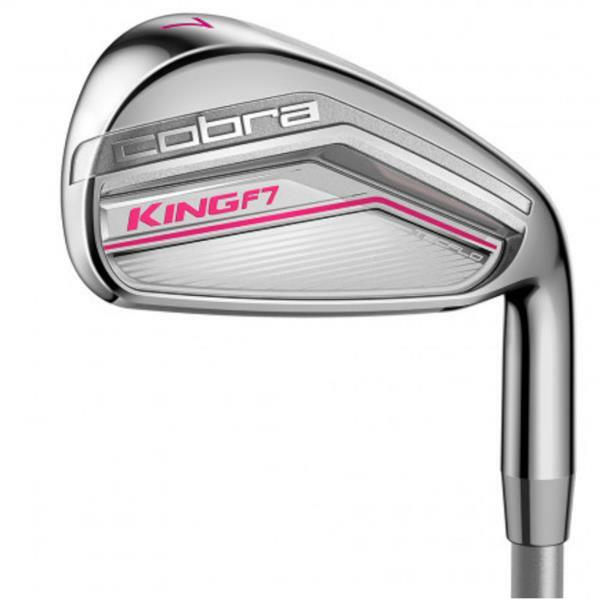 KING F7 irons utilize COBRA’s TECFLO construction to deliver a set that utilizes advanced construction technologies to optimize the performance characteristics of each iron, with new PWRSHELL™ faces for added distance, precision and forgiveness and T.O.P Technology for lower CG. A thinner, stronger face and sole structure re-engineered for speed. Using a high strength 17-4 stainless steel L-Cup face design. We've produced a larger Sweet Zone delivering distance, more forgiveness and ultra precise irons. CNC Milled Grooves improve groove structure. 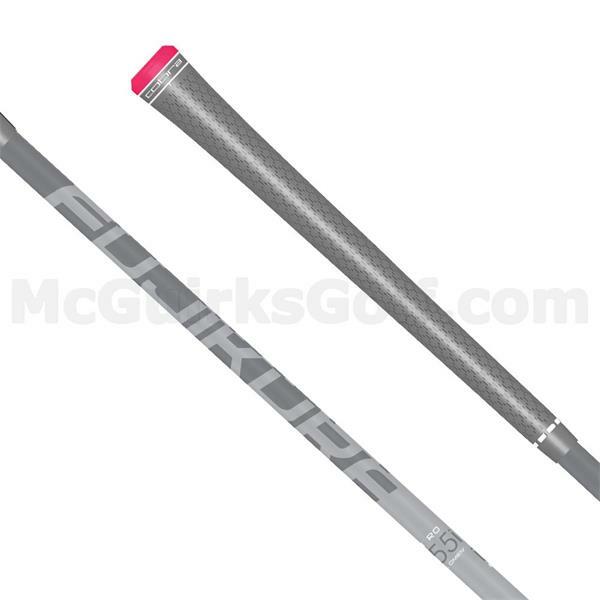 This increases spin and optimizes trajectory throughout the set. The result is improved control and workability giving you added confidence when you're attacking the pin. Weight is strategically removed from the center of the club head and redistributed around the face lower and further back. 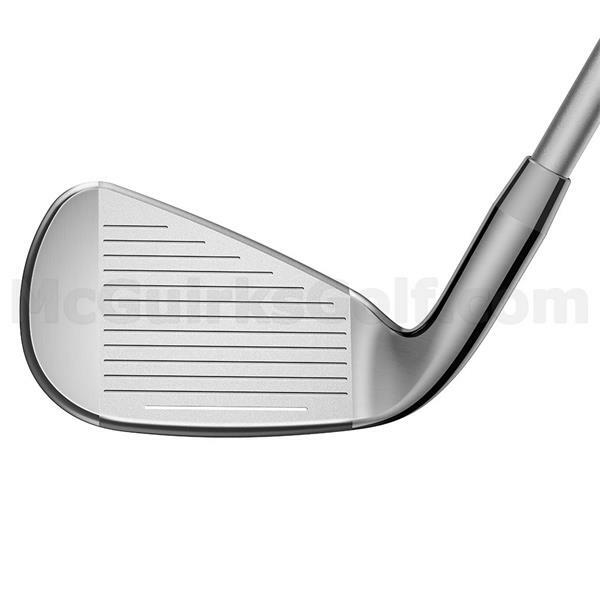 Lower and centered CG placement creates more precision without sacrificing forgiveness. Multiple construction technologies flow together to create the ultimate progressive irons. Each club in the set is designed to perform differently, optimized for performance to help golfers hit more greens and hit it closer to the pin.